Android started off with no of version & Google's home cooked OS has reached a point where you don't see much changed or any new UI tweaks, Few versions did get a complete makeover but few tried & failed. Android O came up with features which was much needed & few Custom ROM or Third party Launchers were providing it for ages. Stock experience is always better so these features are always welcome. Android O not only brought much needed changes but also made life simpler by adding & tweaking things for which we constantly download numerous Apps or maybe downloaded or rooted our device. 1. User Interface - UI is something which gives the device a completely new look, when you feel bored with your device look & feel a new UI is the only way to revive things. Android O doesn't brings too much of improvements in terms of UI but keeps things simple & consolidates everything. It gives the UI cleaner look at organizing things in a pretty neat way. Talking about UI, the Main settings you see has clubbed few things which were a separate tab or options previously. The Icons have changed as well with the help of Adaptive Icons which would need developer level help to give it a new look. 2. Picture-in-Picture mode (PiP) - PiP mode is the flagship feature of Android O, it was a much needed & can be said the most awaited feature in Android. Having this features gives your smartphone a PC like an experience where one of your App is floating around the screen while you navigate & try to do things. For e.g. While reading some content or texting you can watch a youtube video without any hassle. Split screen can do the same but it sometimes causes a little pain while using split-screen. PiP works with just pressing the home button. 3. Notification Dots - Notification dot is another sweet addon as the Apps shows you a small dot when there is a notification or you can say unread batch counts. This feature is useful as it looks clean rather than showing you the no of notification a small dot does the job. When you tap & hold the Icon it will show you new options, this feature is already available in Nova launcher if you have used it anytime. As always said an inbuilt feature is always the best. 4. Smart text selection & APK source - Smart selection gives you more option when you select any text, it can be selected from a Mail/Browser/Messages etc. For eg., if you select a number it will give you an option to Dail or select whereas previously you have to select, copy open dial pad & then call. APK source is basically for security purpose, some might find this feature helpful while some may feel that it causes a lot of headaches. If you are a user who constantly downloads APK's from 3rd party source then this might be little annoying, 1 or 2 occasions should work completely fine. 5. Bluetooth Support & Auto Fill - High-performance Bluetooth audio was one of the first Oreo features to capture the attention of the Android masses. Sony donated its LDAC codec to Google for inclusion in Oreo, opening up the mobile OS to superior audio connections on supported hardware. Android O gets all tick when it comes to Bluetooth support so that all hardware doesn't sound the same & the true potential can be felt. Auto Fill is something which makes our life simpler by remembering the details you entered. Just how chrome works but this features helps to remember & auto-fill via App-wide. 6. Battery Optimization - There isn't any phone that provides battery as per our expectation, expectations can be different & also maybe unrealistic. The manufacturer has started to ship devices with bigger battery capacity & also with fast charging support. The main concern is if Android itself is not optimized then this hardware is just like a piece of brick. To change the same Android has made numerous changes when it comes to battery optimization. Android O brings in new optimization wherein the background limit is maintained by OS & Apps which runs without any reasons are cut through the process. The OS has made smarter to know the difference between Active & Passive background activity. Find the below timeline for Android O on Asus Zenfone's. So these were few of the most anticipated features & changes hope you like it. All features can't be covered & these features are to be enhanced further with the use of available customization. Do share your comments below & let us know your thoughts on the same. Android Oreo has introduced various key features which are actually needed, I think in Android Oreo UI switcher is also introduced with help of which you can switch between Light or Dark UI with adaptive Icons. Many Smartphone Makers has started releasing Oreo for their Devices, and if Asus can release Oreo Update sometime soon then it'll put Smile on users face, as many of them are not happy because of recent updates. But one thing ASUS does and that is they limits the features from the new OS like they did when Lollipop was released with Multi User featutre, So I hope this would not repeat again. Thank you for the feedback. I will try to make sure the things are properly highlighted to the team & these things are seen with update. 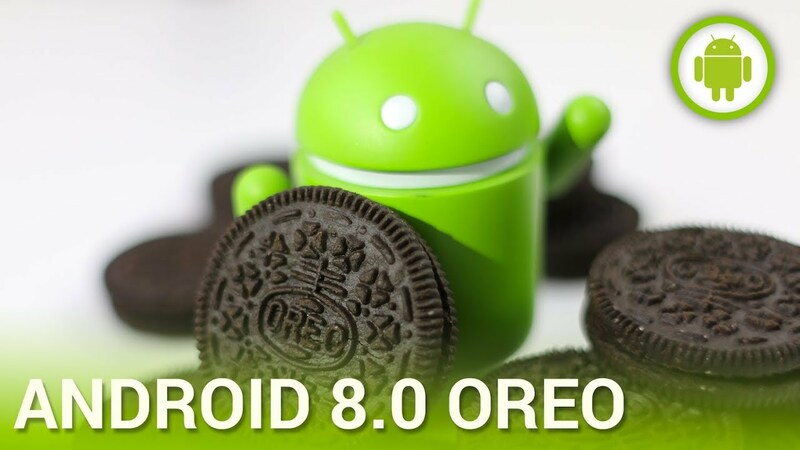 [Updated-8]Oreo 8.0 Zenfone 3(ZE552KL/ZE520KL) Whats New.? ?